Team Geekiest wish you all a very happy New year. 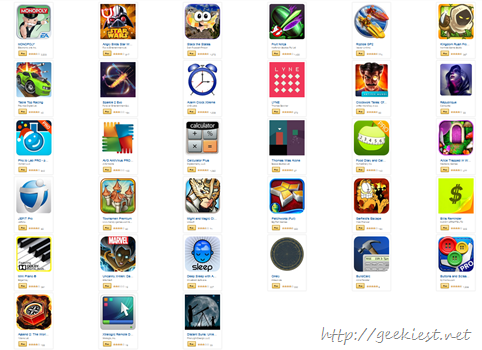 Earlier we covered a $223 worth applications giveaway on amazon Appstore, now You can get Android applications and games worth $110 for Free from Amazon Appstore for a limited time. This includes the app of the day (Amazon Appstore provides a paid application for free everyday) Pho.to Lab PRO which will costs $2.99 otherwise. 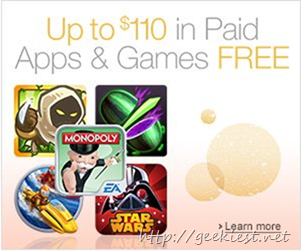 Grab Android Apps and Games worth $110 for Free now. Offer ends on May 16, 2015.